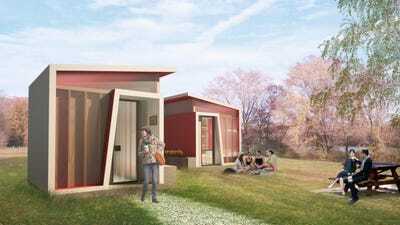 GenslerA rendering of tiny homes for the homeless in San José, California. Although the total number of homeless Americans has slowly decreased over the past decade, homelessness has risen in large cities across the country. Certain spots in these areas are often dubbed “tent cities,” where it’s common for the homeless to live in encampments under highways or parks. In San Jose, California, officials are temporarily addressing the city’s homeless epidemic with tiny homes. 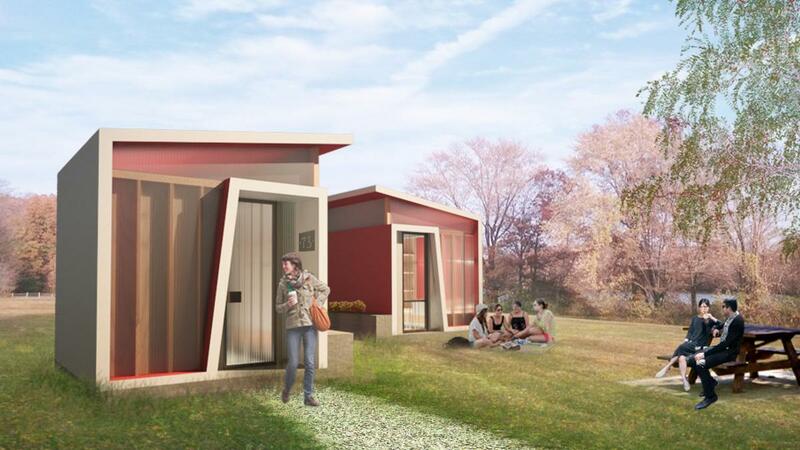 This week, they unveiled two designs for the homes, created pro-bono by Gensler, the world’s largest architecture firm. Whichever village design the city chooses will house up to 25 homeless people until January 2022, when AB 2176 – the law that allows the City of San Jose to build tiny homes – ends. The cost of constructing the villages will not be cheap. If San Jose builds 20 homes on a half-acre site, it will cost $US1.8 million (or $US90,550 per cabin). That price may rise anywhere from $US10,075 to $US17,450 per home when security, transportation, and meal services are added. San Jose is not the first city to look at tiny homes for its homeless. Fresno, California; Austin, Texas; Portland, Oregon; and Eugene, Oregon have already created micro-housing villages as short-term solutions.